29 years old Nigerian man, identified as Innocent Oseghale, was reportedly arrested earlier this week by Italian Carabinieri after the body of an 18-year-old girl identified as Pamela Mastropietro was found dismembered and dumped on a street with parts of her body stuffed in suitcases. According to report, the Carabinieri in nearby Macerata were able to identify the Nigerian man in connection with the gruesome murder of the teenager after examining CCTV footage from the area. It was learnt that the 18-year-old girl had been living at a drug addiction recovery centre since October but suddenly left the centre last Monday, according to investigators. While reportedly using a different sources, from CCTV footage to witness testimony, they were able to determine that the 29-year-old drug dealer was the last person to see the young woman alive. 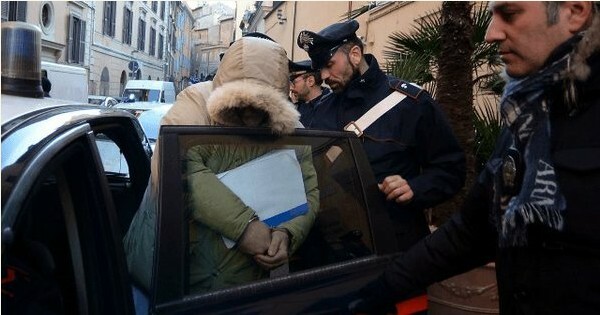 According to report, after forensic investigators from Rome were dispatched to the residence of the migrant, who was living in Italy on an expired visam they were able to recover clothes belonging to the victim, some of which were soaked with blood.